Students and staff from High Schools across Cheshire attended last night’s launch of the Cheshire Schools’ Book Award at our Theatre. Celebrating their tenth anniversary this year, the annual Book Awards are an opportunity for students and staff to read some of the latest teenage fiction and vote for their winning book. This year’s shortlisted titles were announced and include – 13 days of midnight by Leo Hunt, After walkers by Tom Becker, Cuckoo song by Frances Hardinge. Finding Audrey by Sophie Kinsella, One by Sarah Crossan, Phoenix Rising by Bryony Pearce and The door that led to where by Sally Gardner. 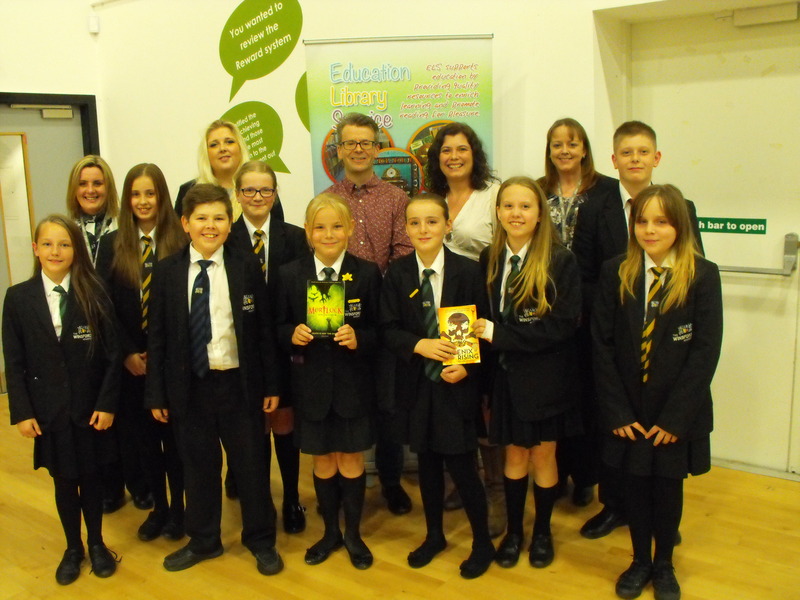 Authors Jon Mayhew and Bryony Pearce talked about what it means to be an author and how they find their inspiration as well as discussing their latest titles.